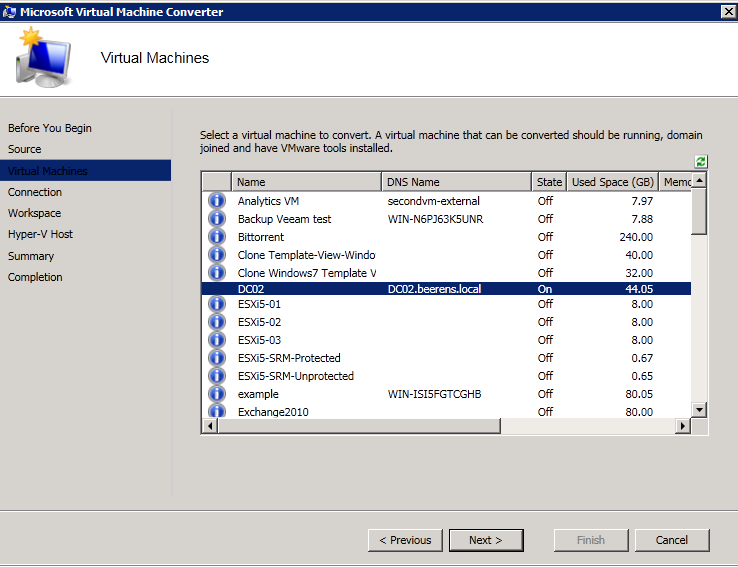 Last week Microsoft Virtual Machine Converter RC is released. 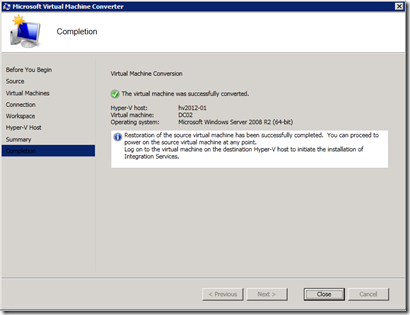 Microsoft Virtual Machine Converter is a stand-alone tool that makes it possible to convert and deploys VMware based VMs to Hyper-V based VMs. 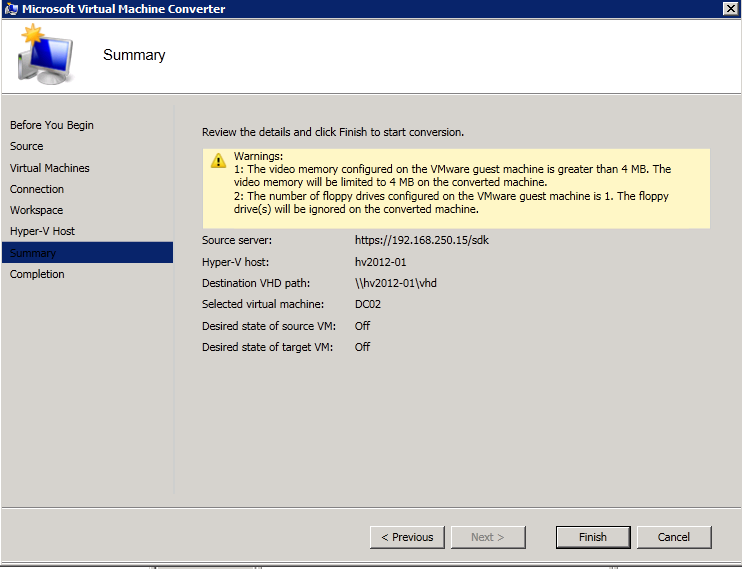 It’s coverts the VMware VM and virtual disks (VMDK) to Hyper-V VMs and Virtual Hard Disks (VHDs). 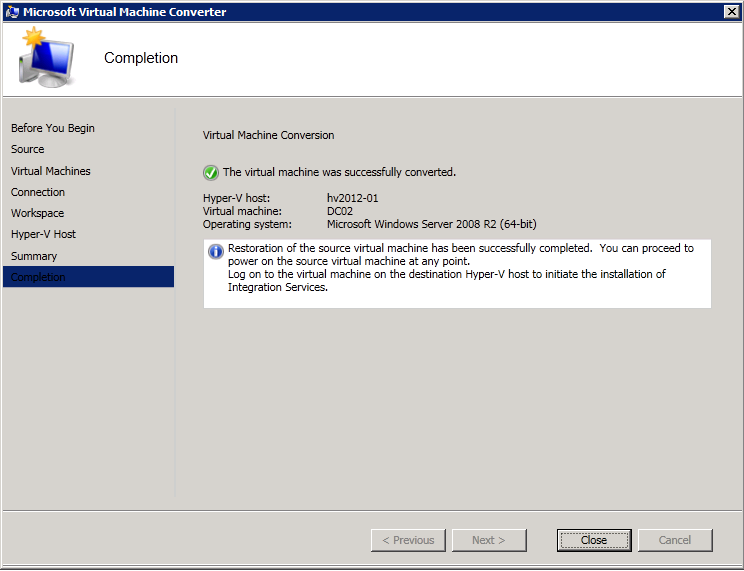 As virtualization consultant I got “sometimes“ involved in migrating VMware to Hyper-V VMs, so I tried Microsoft Virtual Machine Converter. The virtual machine is joined to an Active Directory® domain. 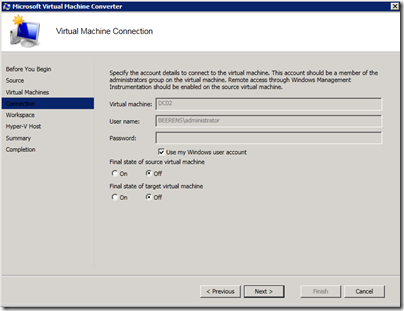 Remote access through Windows Management Instrumentation (WMI) is enabled on the VMware-based virtual machine to be converted and the destination Hyper-V host. 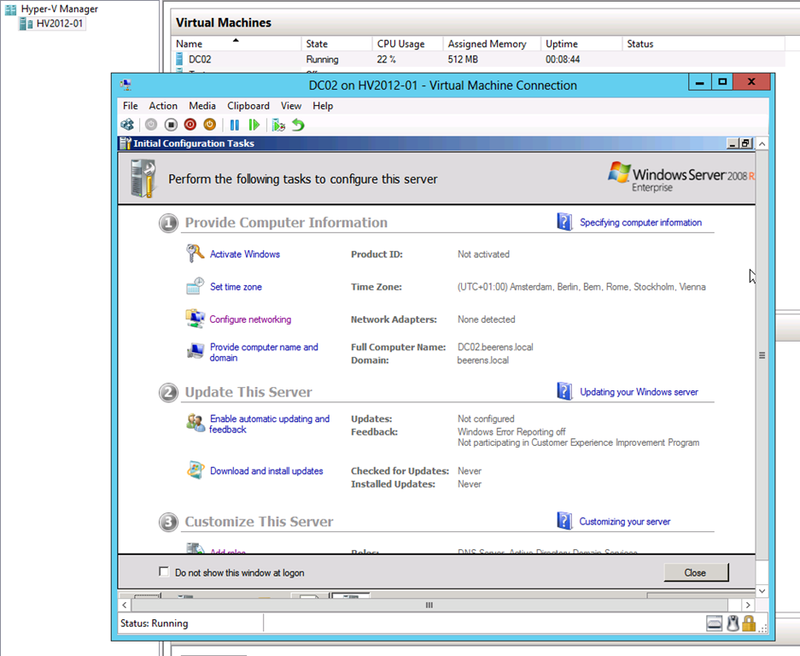 See the “Troubleshooting” section in this guide for more details. 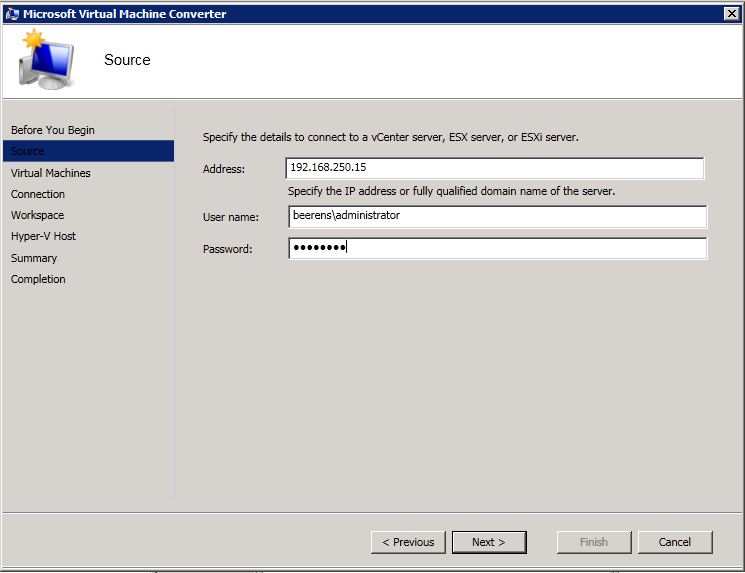 The account used for connecting to the VMware-based virtual machine that needs to be converted is part of an Active Directory domain and also a local administrator on that machine. 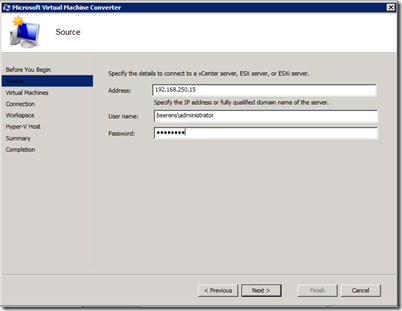 You have the correct credentials to connect to the required environments. 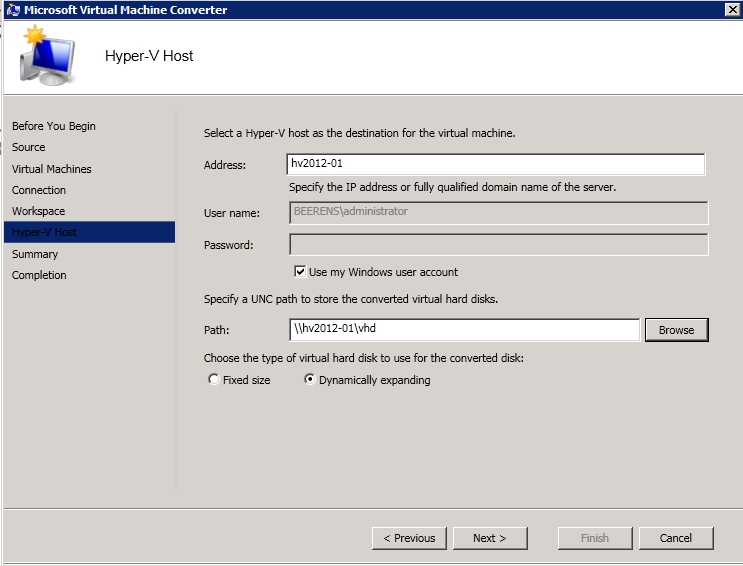 The Windows user account that you are using has write access to the UNC path specified on the destination Hyper-V host for copying the virtual hard disks. 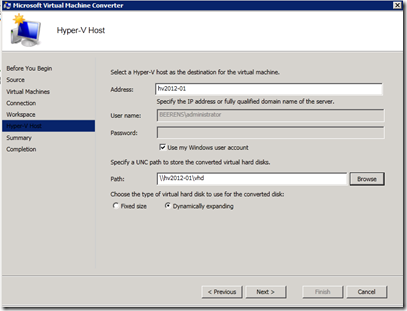 The Hyper-V host has the required disk space available for the converted virtual hard disks. 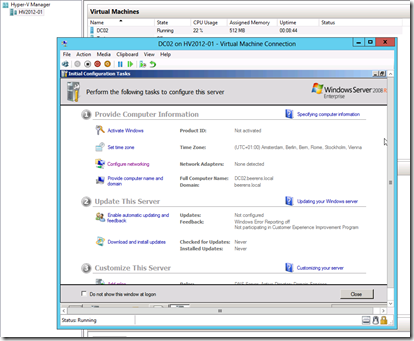 Select a running VM. 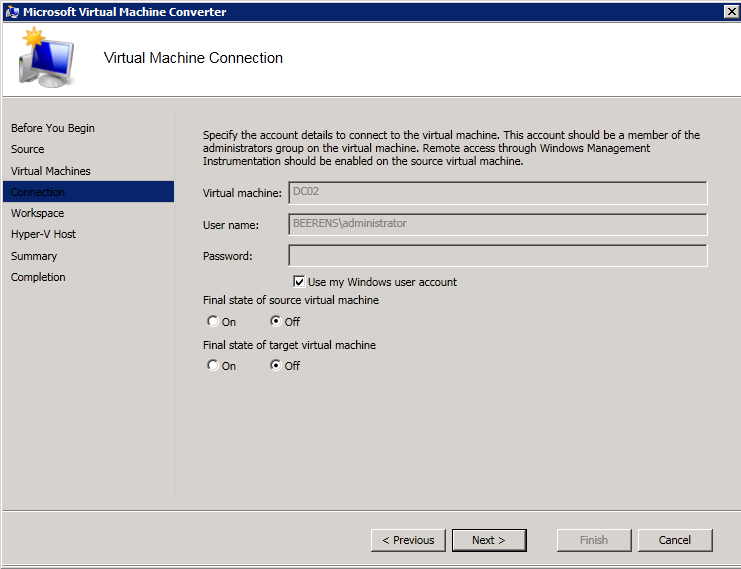 Be aware that the VM will be stopped during the conversion! 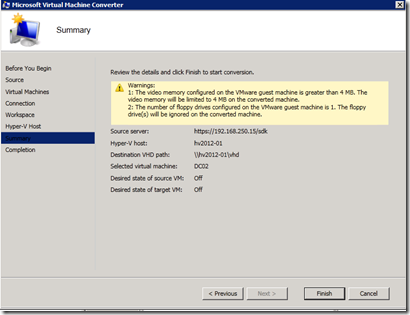 Select the temporarily location to store the disks. 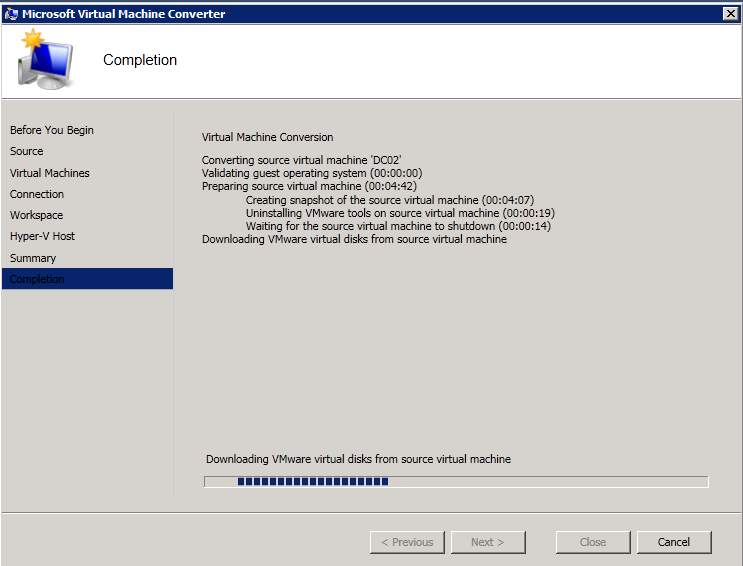 Make sure it has enough free space (double size of the source VMDKs). 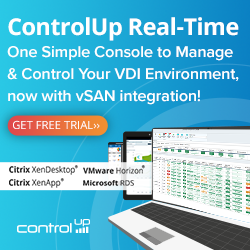 It will store the VMDKs and convert the VMDKs to VHDs. 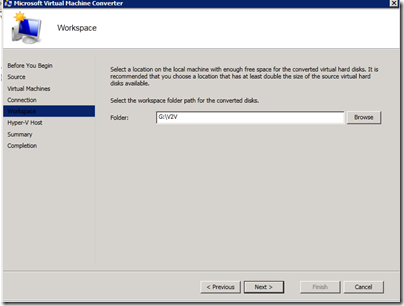 It does not pre-check for example if there is sufficient disk space available. 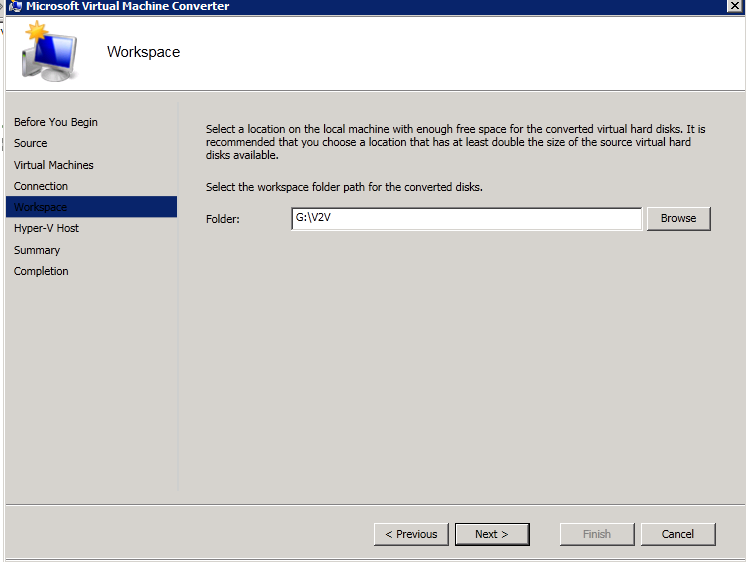 During the copy and conversion process you get a error when the disk is full. This cost a lot of extra time! Hot cloning not possible. Downtime needed! 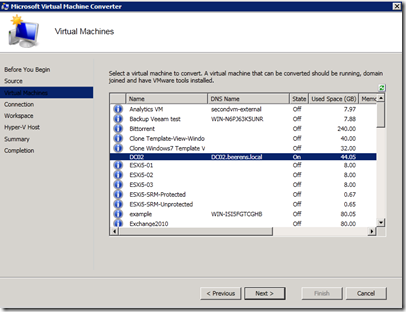 If you like it to do the other way, VMware has a tool called “VMware vCenter Converter Standalone 5.0” which convert Hyper-V based VMs to VMware vSphere VMs with more advanced functions to use such as hot cloning and disk aligning.